Lima Floral has partnered with Cool Earth, helping raise awareness by hosting fabulous parties, all in the name of saving rainforest. Partnering with a Peruvian restaurant makes perfect sense for Cool Earth. We’re delighted to have such a passionate business behind us whose culture, inspiration and heritage all come from Peru. The partnership was launched at the newly reopened Lost Alpaca in Covent Garden where Lima Floral hosted an evening to celebrate the launch of their VIDA cocktail, which will see 20% of the profits going straight to Cool Earth's programme in the Amazon. Lima's enthusiasm for protecting the Peruvian rainforest is infectious and is sure to grab the attention of anybody visiting the venue. “We are so excited about the collaboration with Cool Earth. Being a Peruvian restaurant, trying to halt rainforest destruction in Peru is so important to us and Cool Earth lead the way in making a difference." SUSHISAMBA ARE PARTNERING WITH 16 ASHÁNINKA VILLAGES TO SAVE RAINFOREST IN PERU. The Asháninka are Peru’s largest indigenous nation and until now have lived deep in the heart of the amazon rainforest. Today, the deforestation frontline has arrived on their doorstep. Our Asháninka Partnership is in the Ene Valley, one of the world’s most at-risk areas. Illegal logging and the cocaine trade are destroying the forest. 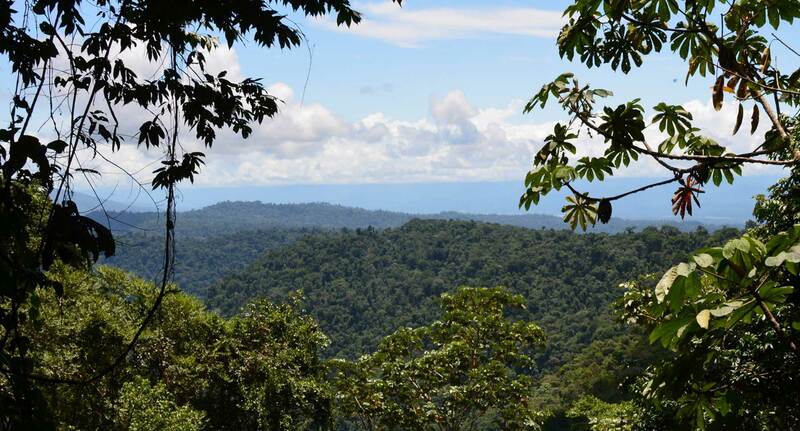 With the support of SUSHISAMBA, Cool Earth is linking villages together to shield millions of acres of neighbouring forest.